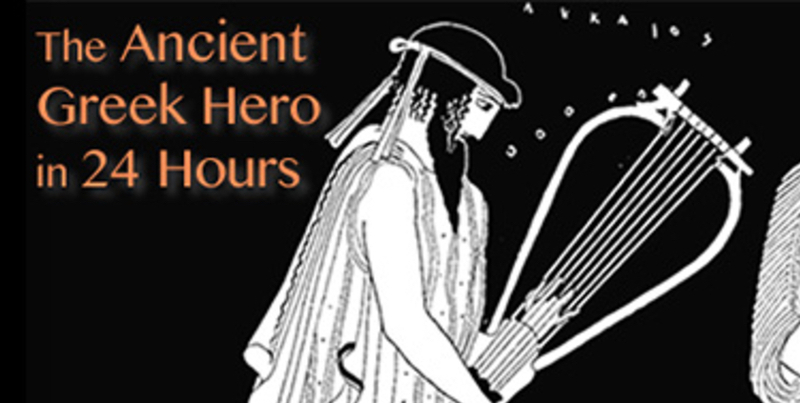 Event: HCC Discussion Group: HarvardX's online course, "The Ancient Greek Hero in 24 Hours"
Longing to brush up on your Illiad and Odyssey, or study ancient Greek works for the first time? Interested in spending quality time with fellow Harvard alumni and their guests? Join our 2017/18 HCC discussion group around the HarvardX online course, The Ancient Greek Hero, a course taught by Harvard Professor Gregory Nagy. This is an introductory course, with no previous knowledge of Greek history, literature or language required. The HCC discussion group will meet approximately twice a month beginning in September 2017, and will continue through spring 2018. Akin to a book club, our in-person meetings are for those who wish to discuss HarvardX online course lectures and readings. Join now, or anytime we are still meeting. Our gatherings are informal – some participants delve deeply into course lectures, readings and assignments, while others accomplish what they can! Some come to every meeting, while others attend only when possible. Our discussions are lively and engaging for all members, so please consider joining us for the 2017/18 "The Ancient Greek Hero" discussion group. HCC Discussion Group Cost: A one-time, $10 administrative fee covers all meetings, no matter how many months we meet. EdX Course Cost: Audited (FREE); Verified Certificate ($150 fee). See the Ancient Greek Hero course page for more details. Note: Visitors must present a photo ID to building security. All registered names will be left with security prior to arrival. RSVP: Prior to each meeting, members will be emailed further details with a RSVP request. Questions: For questions regarding the HCC HarvardX Ancient Greek Hero Discussion Group, please contact Rebecca C. Ribaudo via email.